Samasti 1001 Greens is a residential development. This is one of the constructed projects of Samasti Infrastructures. It has a thoughtful design and is being developed with all the modern day amenities as well as basic facilities. The project offers 1, 2 and 3 BHK apartments. What is the location of Samasti 1001 Greens?The location of the project is Khandagiri, Bhubaneswar. What is available flat size in Samasti 1001 Greens? 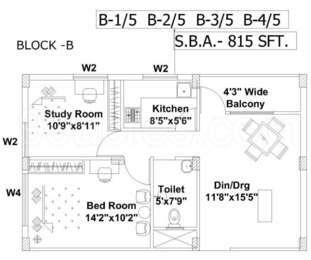 Flat sizes in the project range from 780.0 sqft to 1780.0 sqft. What is total area of 1 bhk in Samasti 1001 Greens? 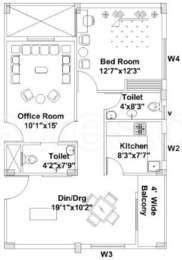 1 BHK unit in the project are available in an area of 780.0 sqft to 1050.0 sqft. 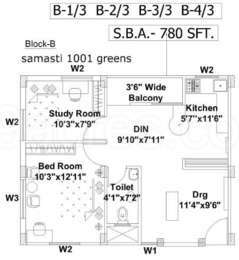 What is the 2 bedroom size in Samasti 1001 Greens? 2 BHK units in the project are available in a size of 1025.0 sqft to 1160.0 sqft. What is total size of Samasti 1001 Greens?The project is built over an area of 2.8 Acres.